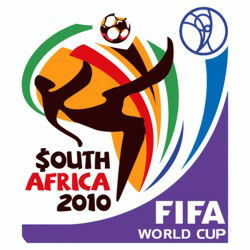 FIFA asking price for broadcast rights of the 2010 $outh Africa FIFA World Cup is $100 million (currency?). That is a whopping increase of $85 million from the last 2006 World Cup! I say FIFA can take their world cup and shove it up their asses. We will not be held hostage. Yes, football may be the most popular game on Earth but the planet will not stop revolving just because it isn't available. If you tell me that it is $5 or 10 million more than the last one, I would still say the increase is reasonable. But a jump of several multiples is just plain daylight robbery. I say we stand our ground and not give in. We were stupid the first time flashing all that money with the EPL bidding war and triggering FIFA's greed. Nope. NOT GOING TO HAPPEN AGAIN. Let's face it. If we give in this time, how much do you think they are going to rob us again in 4 years' time? It was the most beautiful game in the world. It is ugly now.